Comprehensive Bulk Barcode software for Mac designs stunning barcode images in form of price tags, asset tags, book stickers, coupons, bills, product tags, images and many others along with facility to save generated barcode images into various graphic formats like jpeg, bmp, tiff, png, emf, and gif etc for future purpose. 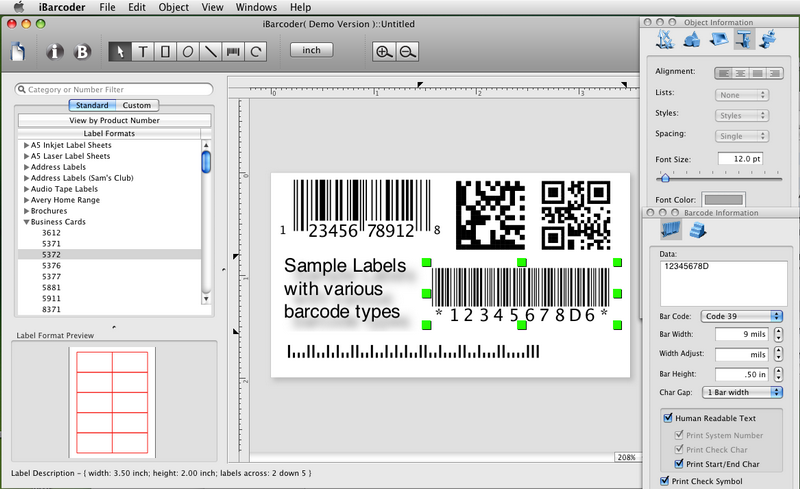 Label maker program enables you to produce easily printable barcode tags for different industries in few mouse clicks. Copper Point of Sale Pro for Mac is an easy to navigate POS system. The system is compatible with touch-screen monitors and barcode scanners to help save time when ringing up and help prevent mistakes. Copper POS for Mac also generates professional receipts. The system is compatible with printers that use roll paper. 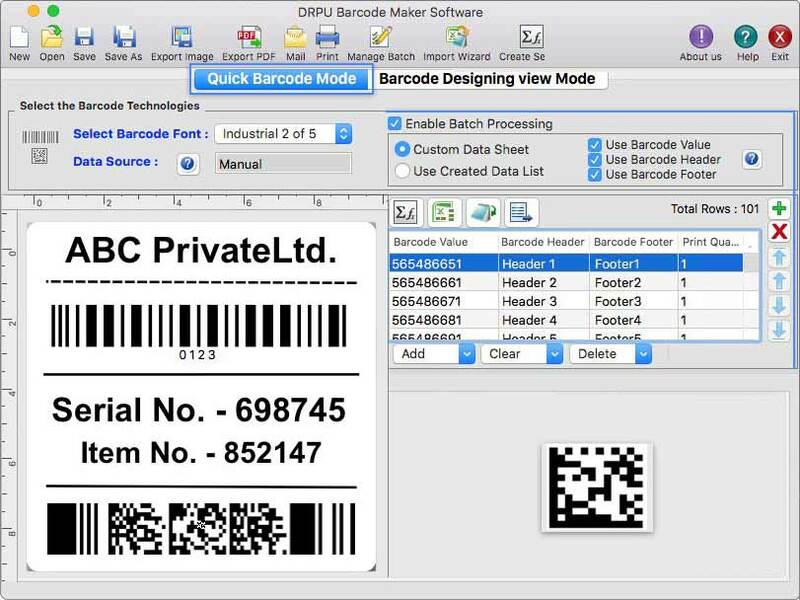 Barcode maker application facilitates any class of user to easily generate bulk barcode labels for inventory and retail business without any extra technical knowledge. Now user easily creates different type of industry specific barcode images and tags by using Free Barcode Maker application. Barcode creator program easily generates multi colored bar code images and stickers in different beautiful shapes like rectangle, ellipse, pencil etc. 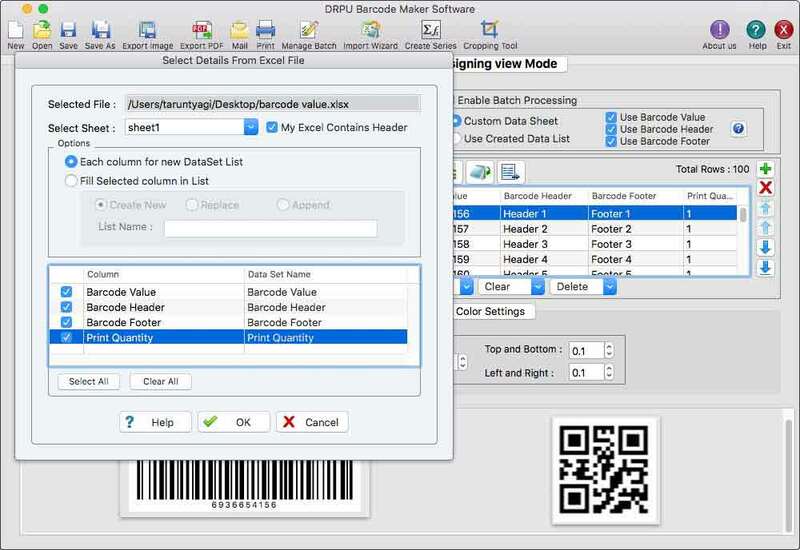 Barcode creator, QR code and Datamatrix generator. Create, print and export barcodes as vector graphics, or high resolution images. Print barcodes on Avery label templates, or make custom formats. Add text and graphics. Barcode types supported: Postnet, Japanpost, FIM Codes, UPC, EAN, ISBN, ISSN, Code 128, Codabar, ITF14, Code 39, Code 11, Code 93, MSI, Interleaved 2 of 5, Datamatrix, Intelligent Mail, Pharmacode and QR Code, GS1 Databar. Inventoria Inventory Software for Mac helps you manage and monitor your inventory. Inventoria for Mac OS X is designed to be intuitive and very easy to use. The program allows the use of a barcode scanner for easy inventory management. 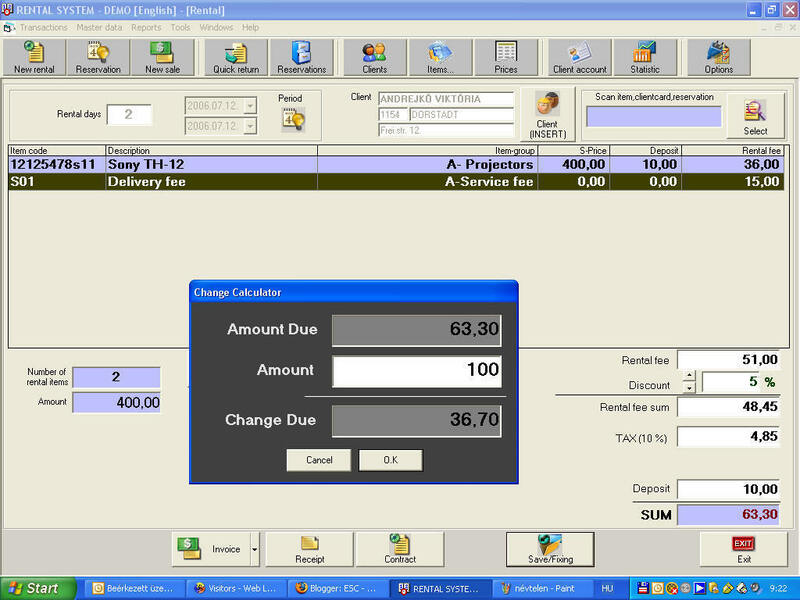 Monitor and generate reports on stock levels, costs, and inventory averages. Inventoria can also easily import existing data through csv files.